Now, more than 50% of shoppers are using different mobile devices to browse the Internet and do online shopping. The surprising thing is that their numbers are increasing with each passing day. E-retailers and entrepreneurs will lose a lot of business opportunities if their E-stores are not responsive to mobile devices. Apart from this, Mobile Friendly’ design is a compulsory parameter if they want your site to rank well in Google search results. All those sites that are not responsive to mobile devices are punished by Google with a low ranking in its SERP. So, are you looking for ways to make your E-commerce site mobile responsive? If yes, then you should follow the below-mentioned tips. These useful tips will help you to make your site responsive to all mobile devices, increase visitor count and opportunities of earning easily. If you have enough budget, manpower, and resources, you can create a mobile version of your desktop site using conversion platforms such as Duda Mobile or bMobilized. When visitors search your website on their mobile devices, they are automatically redirected to the mobile version of the site. It is very difficult to run, update and maintain two different versions of the same site. 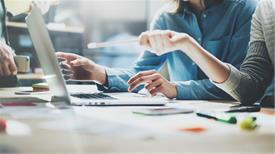 On many occasions, visitors express their displeasure when they get less information on the mobile version of your site compared to the desktop version. Keep these things in mind while creating a separate mobile site. If you don't want to create the mobile version of your site, mobile extension/plugins can be used to take the E-commerce business to the mobile platform. For example- If you want your Magento E-commerce site to appear prominently on all mobile devices, just add a Magento extension to the website. The same holds true in the case of WordPress, Joomla, Drupal, and other similar platforms. By choosing a responsive web design, you can easily make your E-commerce site mobile responsive with a little investment. 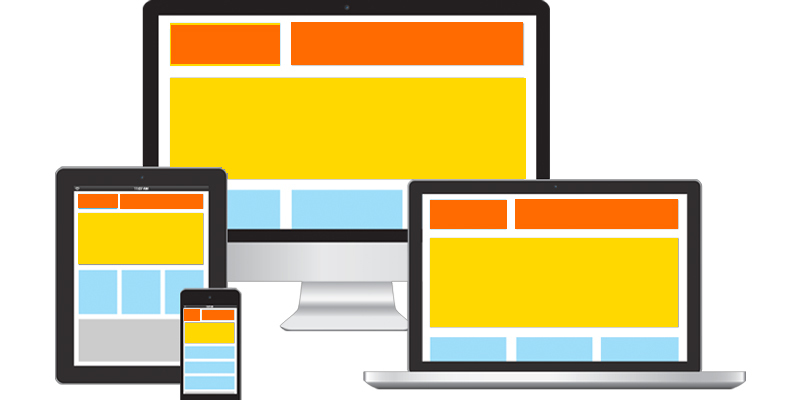 Responsive websites automatically adjust itself to the different screen sizes and allow the visitors to view the site easily. Thus, such websites have higher traffic and a lower bounce rate. In order to fully capitalize the business coming from small screens and increase your ROI, you should create/redesign your E-commerce site with a mobile-first approach. By using the responsive themes, you can easily increase its compatibility with different mobile devices. It helps the different elements of your site to adjust itself automatically to the size of devices used by the visitors and offer them the optimal browsing experience. It also helps visitors to switch between PC and mobile or vice versa at any time and gain the same view. These days, the use of mobile applications is skyrocketing. In order to avoid the mess of typing website names in web browsers each time for online shopping, a good number of tech-savvy people download the site's app on their mobile devices and conduct online shopping from all locations. 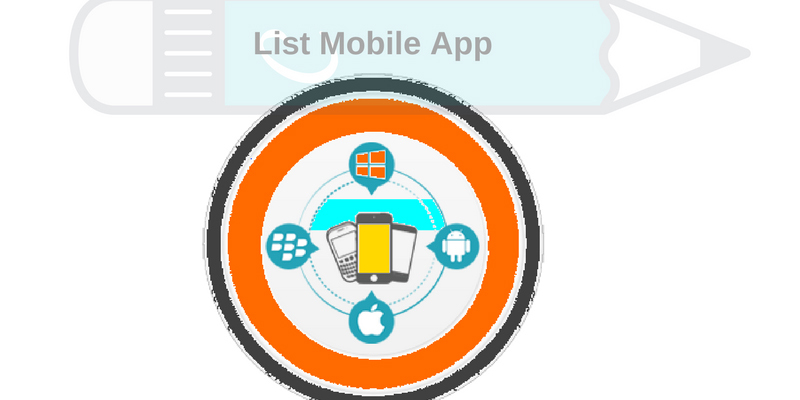 Therefore, to increase your customer base and sales, just get your site's App made and list it on Google play store, Amazon App Store, ApkMirror, AppBrain, Aptoide, and other similar platforms. Encourage people to download your app on their mobile devices and use it to buy products from your E-commerce site. When you implement RWD on your E-commerce site, you should take note of its loading speed. Your site or its pages may become slow if you use too many graphic elements. Therefore, you should use only necessary elements on your E-commerce site, compress your web pages and take all other steps (such as image optimization, erasing needless database, plugins/extensions, etc,) to make your E-commerce site fast. It will help visitors to easily access your site on their mobile devices. Always keep in mind that mobile devices have less space to display the webpages. So, if your website is flooded with excessive content, unoptimized images, etc, visitors browsing your site through mobile devices will face problems to access it's all features. Therefore, Whenever you create webpages, keeping mobile users in mind, you must display your products with minimal text. As most of the visitors on mobile devices tend to scroll down the page, you should try to keep your content in a vertical line, not in horizontal line. 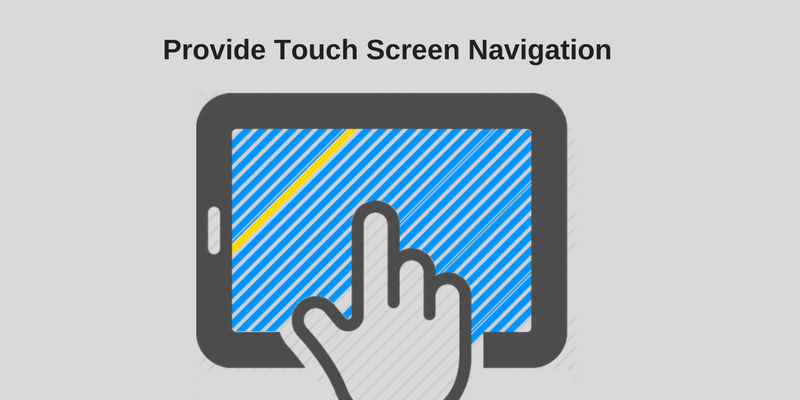 Navigation features differ a little bit when you visit websites on PC and mobile devices. These days, most of the mobile devices involve a touch screen. Therefore, you must add clearly visible, large, and bold CTA buttons. This will make your site more professional and will help visitors to complete almost actions on your E-commerce site. E-retailers need to make their website responsive to build a solid online presence, reach out a large number of shoppers and grow their business rapidly. These are some tips using which you can easily make your site responsive to mobile devices and meet the ultimate goals of your E-commerce business. Linda Wester is professional and experienced Magento expert. She loves to write useful articles and notes on custom Magento solutions, PSD to Magento conversion, HTML to Magento conversion, etc. Subscribe her latest updates by following her on Twitter.